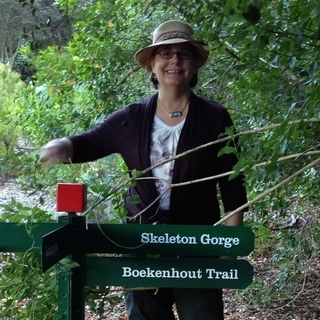 Bonnie J. Fladung specializes in nature, travel and adventure writing. She is a Senior Research Associate with the African Caribbean Institute where she is working in the areas of human rights, women's and children's issues, and violence. She is the co-author of an acclaimed book focusing on African wildlife, community relations, environmental concerns, and the impact of AIDS in Africa. Her work includes research in South Africa, Botswana, Zimbabwe and Morocco. ~ National Geographic recommendation "What to Read Before You Go"
A former high tech marketing executive, Bonnie is now following her lifelong passion for writing tales of heroism and exploits that stretch the bounds of the imagination. In collaboration with explorers, adventurers and conservationists, she brings to life real stories about real people with all their glories and flaws, disappointments and triumphs. Stories that will inspire you and break your heart. Bonnie is the founder of Feather Star Press, which focuses on nature, wildlife and adventure. The timeless stories will take you to fascinating locations where quirky characters combine to inspire, entertain and captivate the imagination! In 2013, she and James Currie established Ukhozi Press as a vehicle for publishing biographies and other non-fiction works with an African bias. Ukhozi Press focuses on character-driven stories that provide insight into the challenges, adventures and opportunities of living in Africa. Opens like the scents of a mountain flower!" A story about the large tuskers of Africa, the world's last remaining giants to walk the planet. This manual is an introduction to the LISP programming language, with an emphasis on Common LISP, which is becoming the standard used throughout education and industry.